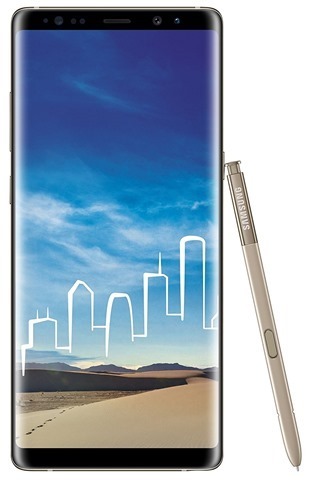 The Samsung Galaxy Note8 has been launched in India. And like the rest of the world, we get the Exynos 8895 powered device with 6GB LPDDR4 RAM and a Mali-G71 MP20 GPU. The Note8 features a 6.3-inch 2960 x 1440p Quad HD+ Super AMOLED Infinity Display, with an 18:5:9 aspect ratio and a pixel density of 551 PPI. The Samsung Galaxy Note8 SM-N950F has 64GB of internal storage, and supports up to 256GB of expandable memory via a microSD card slot. The Note8 has a fingerprint scanner on the rear, and an iris scanner on the front panel, for unlocking the device using biometrics. There is a dedicated button for accessing Bixby, the digital personal assistant app baked in to the OS. The phone runs on Android 7.1.1 Nougat, with special features like the Edge Screen, Edge Panel, Screen Off Memo, Bixby Vision, Bixby Voice (to be launched soon in India), and has an improved S PEN. Both the pen and the phone are IP68 certified for water and dust resistance. The photography department on the device comprises of dual rear cameras, one of which is a 12 megapixels telephoto lens with an f/2.4 aperture, and the other being a wide angle camera with a f/1.7 aperture, autofocus, and OIS (optical image stabilization), dual LED flash, and an 8 megapixels selfie lens. 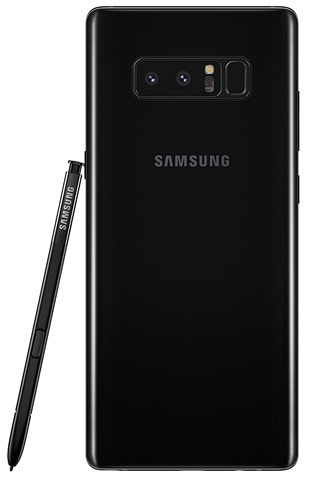 The Note8 is backed by a 3,300 mAh battery which supports, fast charging over wired and wireless modes.The phone supports Dual SIM cards with Dual standby, 4G LTE with VoLTE, Wi-Fi 802.11 a/b/g/n/ac (2.4/5GHz), Bluetooth v5.0, USB Type-C, NFC, GPS, Galileo, Glonass, BeiDou. 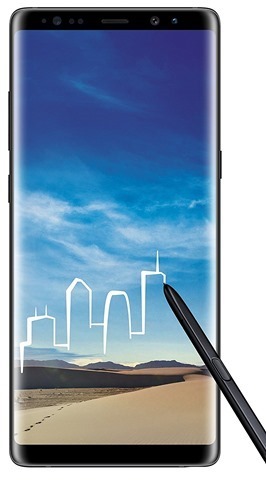 The Samsung Galaxy Note8 has been priced at Rs. 67,900 in India, and will be available online exclusively via Amazon and Samsung's eStore. 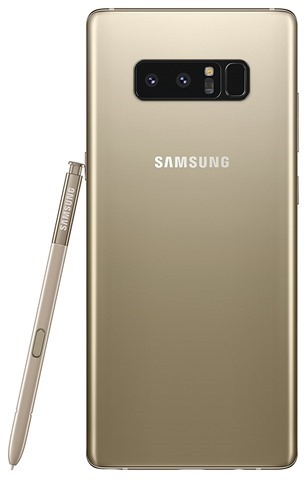 The phone will be available in 2 colours: Midnight Black and Maple Gold.